Who doesn’t love a clean house with well behaved children? And who doesn’t love to always see the scale numbers go down or to always have the perfect wise or witty remark to garner fifty likes and comments on their facebook page? Who doesn’t love a photo-worthy pie resting on their counter top (creatively edited to add that a warm, vintage feel), or a pantry stocked with the necessary “go-to” items for the recipes stacking up in their Pintrest folders? Who doesn’t love to say all the right things at the exact right moments, to vanquish nightmares and fevers with a single forehead kiss, to end an argument with a gentle hug and reassure a wounded spirit with the softest of words? Sometimes you’re the woman making the mad dash across the Walmart parking lot with a three year old who’s (hopefully) holding his pee long enough for you and your sidekick (who is your five year old daughter, dressed like she dumped a laundry basket on her head and then zipped everything together with a bright pink sweatshirt) to bust the doors down. On the ride home from dropping Lila off at preschool this morning, Asher handed me his empty cracker wrapper. As I shoved it into my purse, I realized that my purse was already full with his craft from church on Sunday…and also, the pair of underwear that didn’t quite make it to the bathroom at the end of that Walmart sprint last night. Looking down at my pocketbook full of mess, I saw the most simple and plain metaphor for myself. A couple of quick shoves and the snap of a button, and viola! my life isn’t a mess, it’s an organized and tidy purse, slung over my shoulder and ready for the world. It’s just so easy to deceive and to be deceived in this announcement of every accomplishment, post-it-to-Pintrest, share-it-on-Facebook sort of world. It’s easy to somehow be fooled into the idea that there are people out there who actually have everything figured out, people who have well kept bookshelves (the books on which have all been read), people without dust bunnies under beds or sticky fingerprints on light switches, people who have time for three well made (from scratch) meals per day, while still taking their children to play dates and themselves to the gym, and who never watch television. Don’t get me wrong, as a mom in the trenches, I fully embrace and adore all of this social media world that keeps me from feeling like I’m alone, that makes me feel triumphant for little accomplishments. But I know that I don’t nearly as often post of my failings. Who wants to do that? Oh, Hey world, my son pooped down his pants again and in my rush to get him a wipe, I turned quickly and kneed my baby in the nose. But the reality is, perhaps even more than my accomplishments, it’s my failings that have made me. And they’re worth appreciating, at least in hindsight. Which brings me to yesterday morning. On my counter are three tiny flowerpots. We bought them at the Christmas Tree Shop – small pads of soil, a packet of seeds and instructions for care. Before I could turn around to help, the kids had already made fast work of overfilling them to the point of seeds dripping down the sides, dirt smudging all over their fingers, the table, the counter, the floor. How could such tiny pots hold so much? Alex’s was the worst. His marigold seeds floated on the puddle of water above his soil, some flat and soaked and stuck to the sides of the pot, others spiking up from the water like a marsh of reeds. I don’t have high hopes, I told them while taking their pots and placing them on our counter. In the following mornings, I would groggily drip faucet water for nourishment on them as I pushed my way past to the coffee pot. And yes, Alex’s is the only one sprouting. From that crazy, messy, wet accident of a planting – it’s sprouting. I would rather be sloppy and wild and unruly, but growing, than neat and proper and ready for my close-up, but stagnant. Life requires dirt and mess. Plants need it, we need it. We need to remember that we’re not called to be perfect at all in the first place, not in appearance and certainly not in our scramble-to-survive-the-grocery-store-with-four-children lives. Perfectly imperfect works. At least, that’s the story the lake of laundry and I are going with. Yes to being sloppy and wild and unruly and GROWING. So very well said (perfectly even)! Melanie, you have so eloquently stated the sentiments of most of us moms. Thank you for reminding me why I’ve spent the majority of my life wiping bums and kissing boo-boos. Now it’s my grandchildren…I think sometimes I’m a little wiser, but honestly–+++ I still can’t quite smile when I’m wiping chocolate syrup off the doors of my cabinets or finding crackers and cheese in the folds of the family room cushions…and the remote is lost again! I LOVE reading your wonderful musings! I so agree! Life is messy, and wonderful. I’m trying to take on motherhood as an adventure. I’m so glad you took a picture of your purse so your children wouldn’t think you made that stuff up. Good move. I only have two (five and two years), but it’s just as weird and messy. But so worth it. Found you on High Calling – great writing! Thank you, Amanda. It’s odd and wonderful to find clarity in such a messy existence. It’s just a network of blogs called The High Calling. I’ve found it to have a higher quality of writing and I’ve found some very inspirational writers and thinkers through it. They are all Christian / faith-based blogs. Some a bit more overt than others. I’m afraid someday I might get kicked out due to a curse word in some blog entry of mine somewhere, but so far, no such luck. Keep up the good writing! What a wonderful post! I couldn’t agree more on this. Thanks for making me smile today! I concur with another reader….ahhhhh! Big breath. 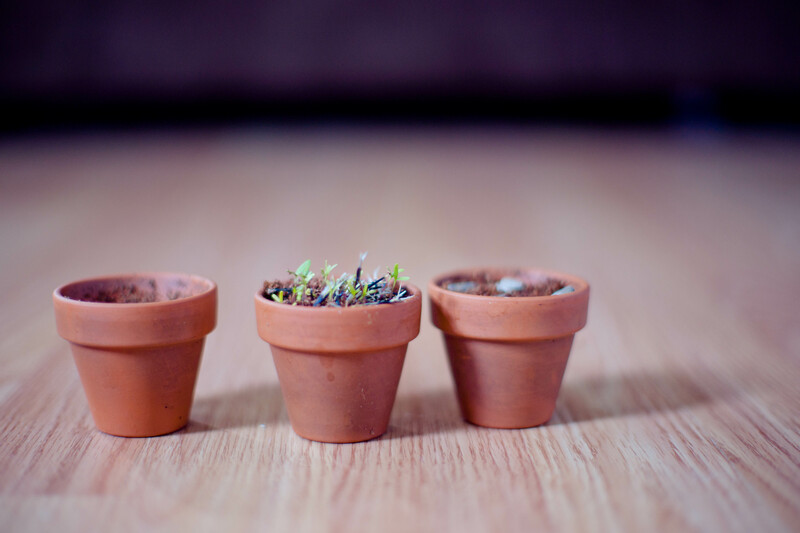 I just love that with all the mess our lives are, we are truly God’s little plants…growing everyday! I always liked a clean hose not necessarily neat but a house that is warm and welcoming isn’t perfect. I like my house to look lived in It’s a HOME not a museum . That and I hate to dust but do it anyway.